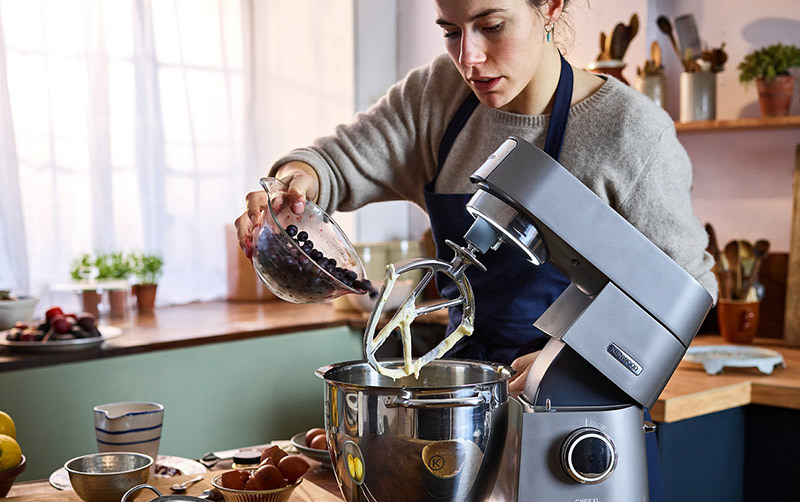 The Kenwood Chef Titanium is the ultimate kitchen machine, giving you the confidence to become more ambitious and inspire your creativity in the kitchen. 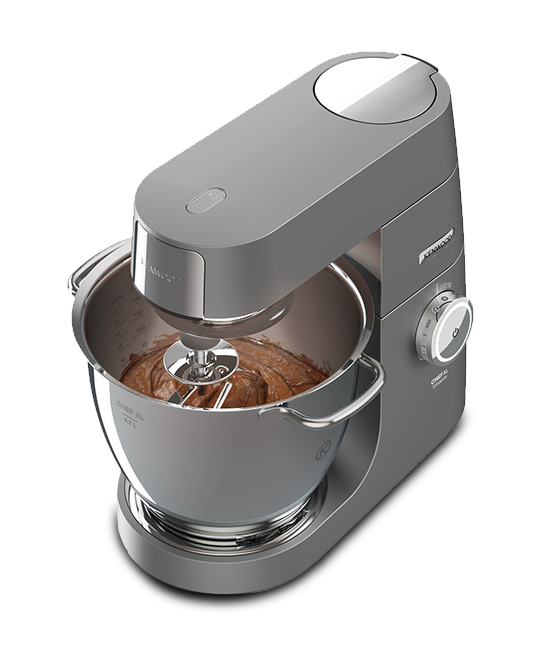 Achieve creamier frosting, lighter cakes and fluffier souffles with even more tool options available. 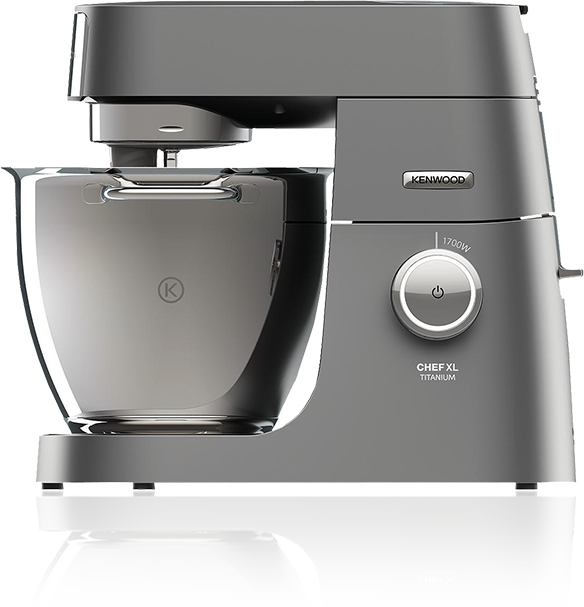 The Chef Titanium XL’s capabilities are as unlimited as your imagination. 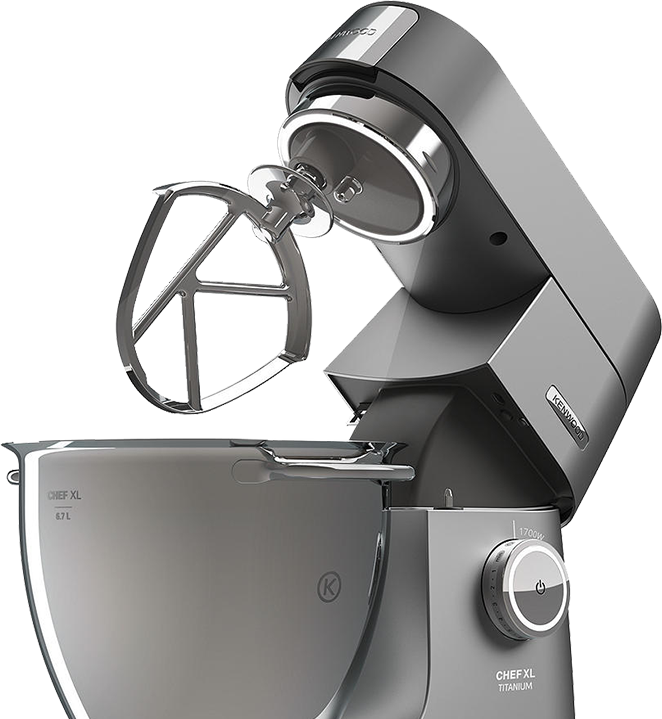 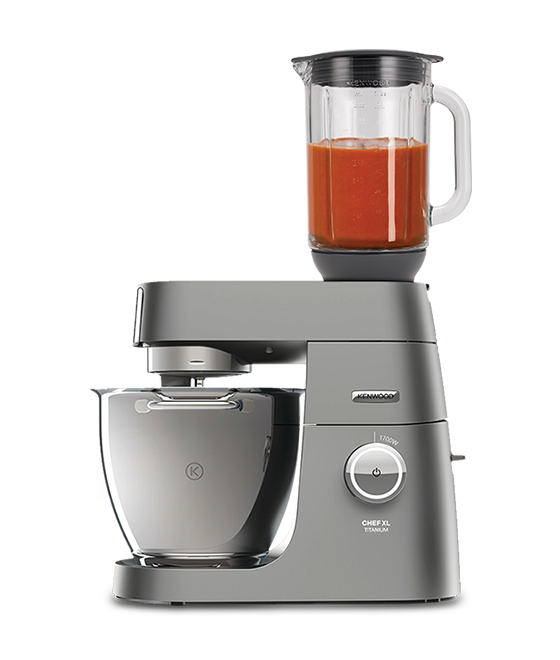 With power and control at your fingertips, plus more than 20 attachments, you can create a large variety of new dishes. 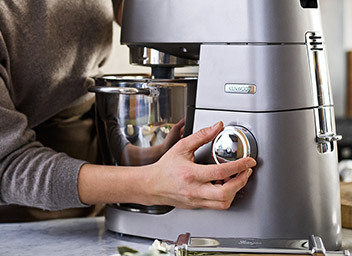 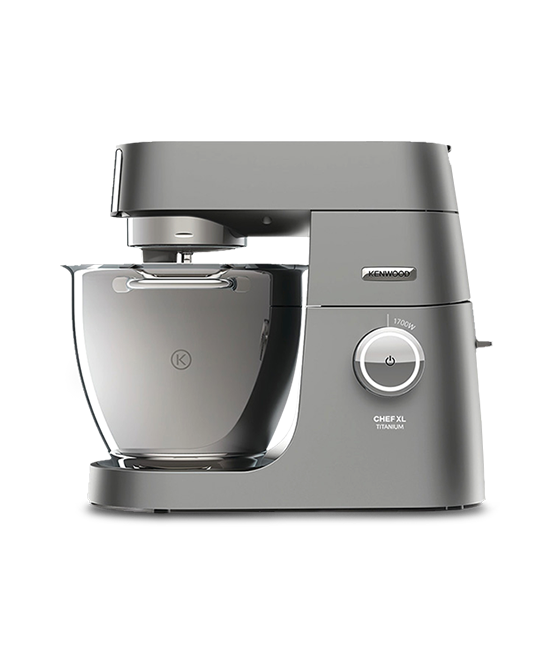 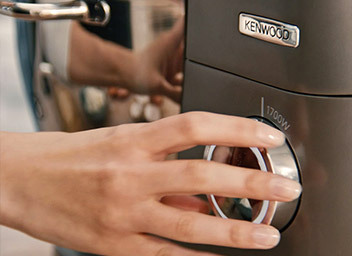 Kenwood Kitchen Machines are based on a unique technical concept, allowing your mixer to be one of the most versatile appliances you will ever own. 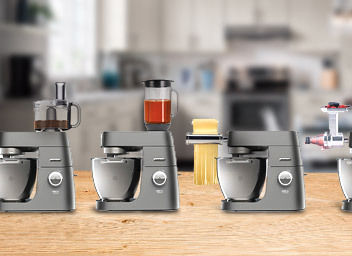 Our unrivalled range of over 20 optional attachments allows cooks to tailor the machine to individual tastes, making Kenwood the perfect choice for home cooks. 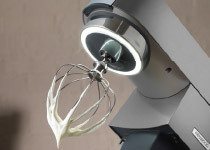 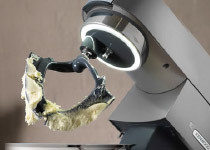 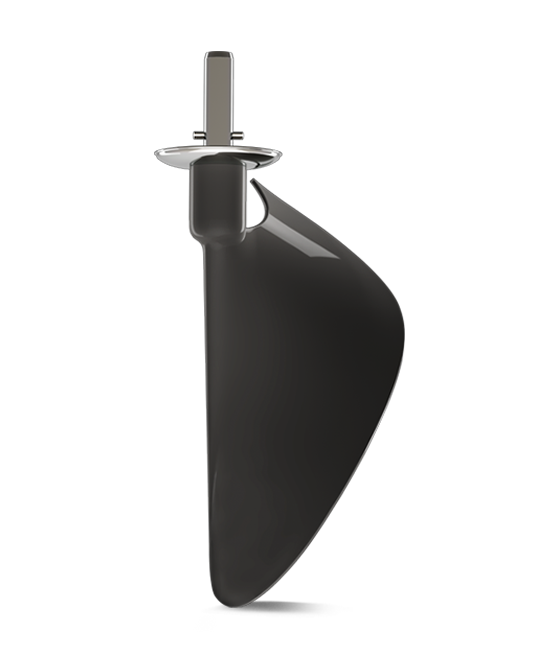 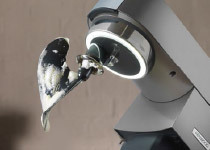 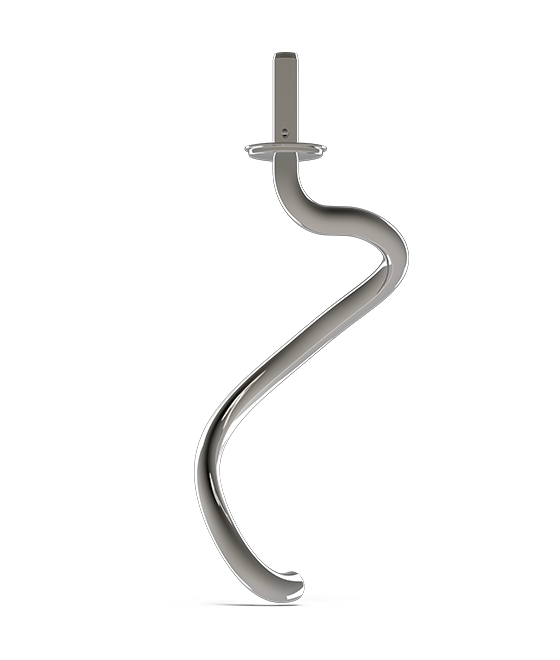 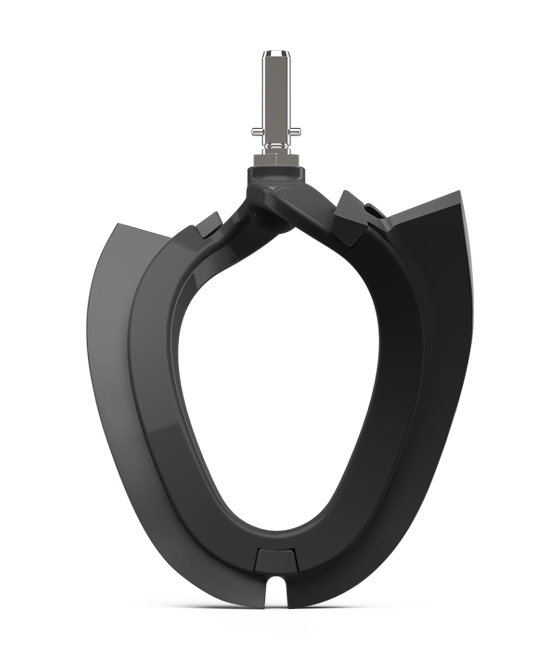 The bowl tool moves in one direction and the socket turns in the opposite direction making sure all the mixture is picked up from around the side. 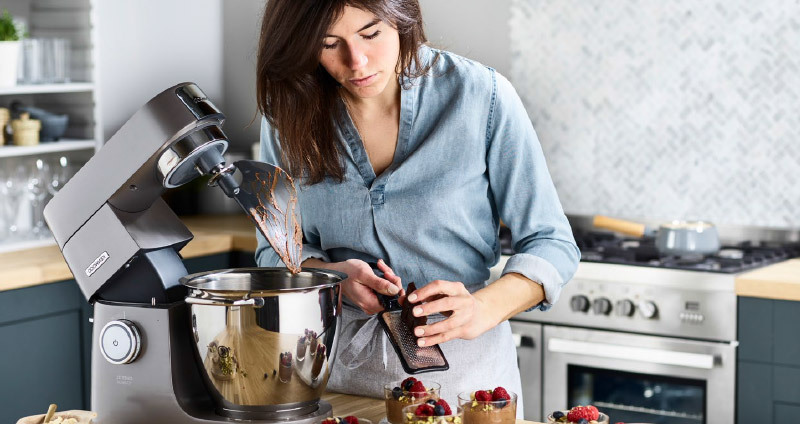 Kenwood Kitchen Machine offer powerful motor with wattage of 1700W, with optimum control and performance with variable electronic speed control providing precision control for gentle light mixing to heavy loads. 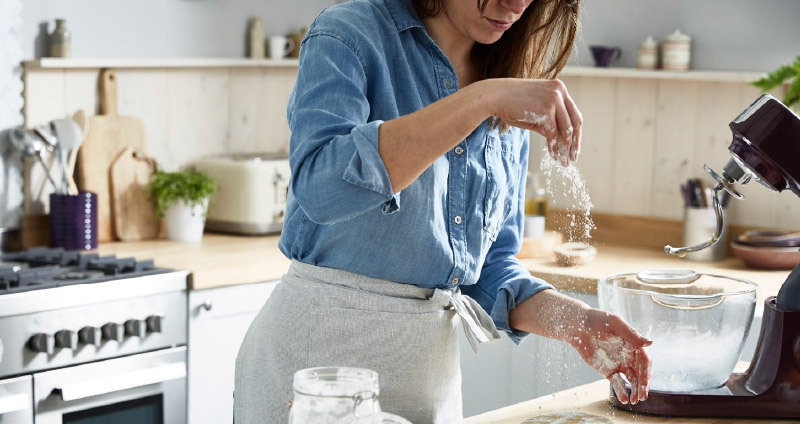 you with every baking task. 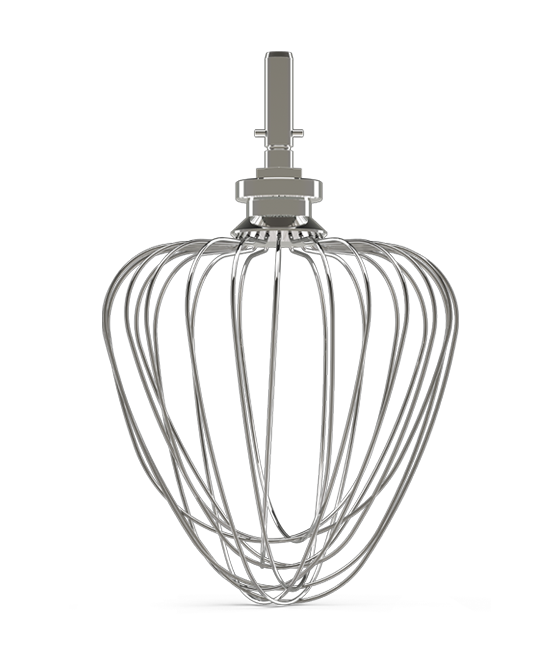 For eggs, cream, batters, fatless sponges, meringues, cheesecakes, mousses, and soufflés. 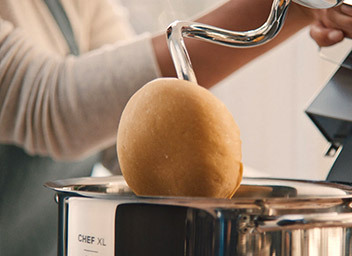 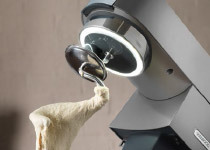 To mix bread dough, pizza dough, pasta dough or brioche. 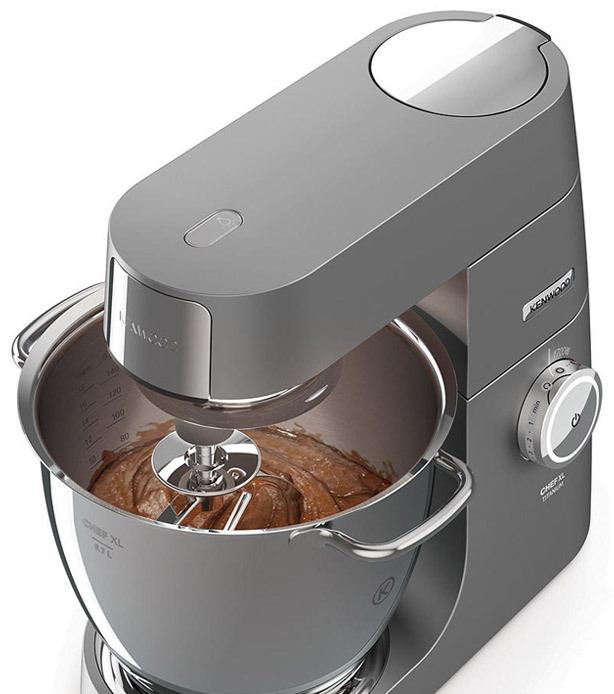 Perfect for the most delicate cake mixes and toppings. 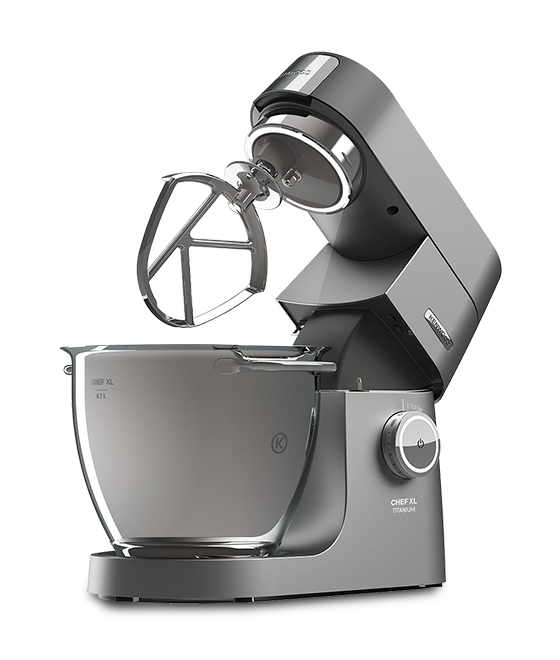 Its pliable wings work around the sides of the bowl to ensure an even consistency throughout the mix. 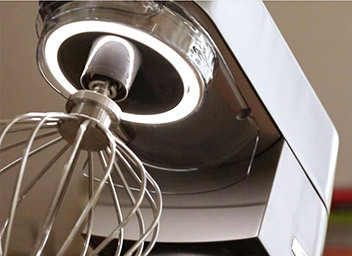 Create light mousses and fluffy soufflés. 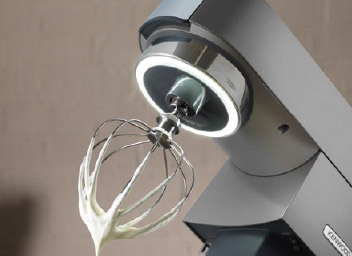 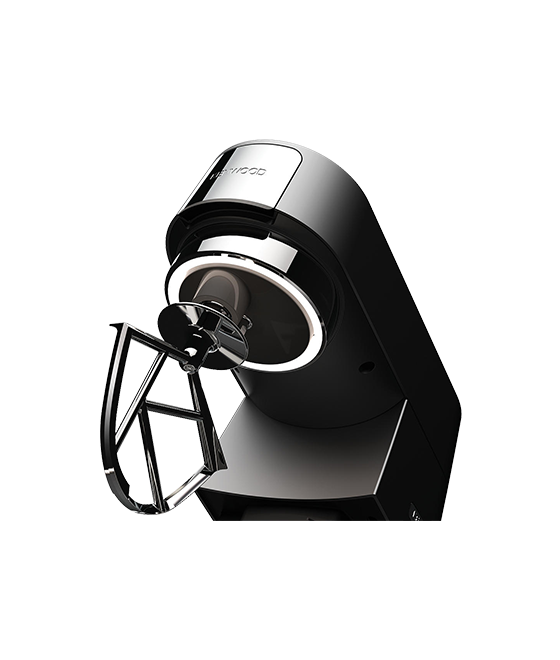 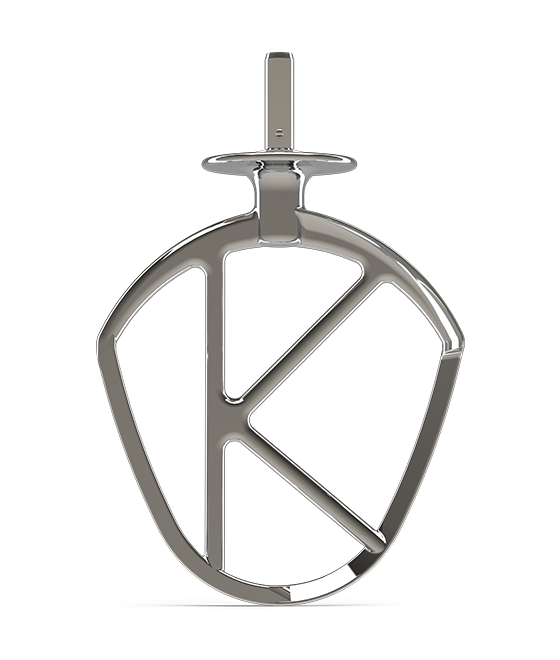 A unique patented tool to effortlessly fold heavy and light ingredients together and create perfectly airy and fluffy mixtures.